We understand the importance of timely financial statements and accurate bill paying. As our client, you can be assured all bills are carefully reviewed before payment, and all rent is accounted for. Our financial professionals are trained to create accurate budgets while taking into account your short- and long-term goals. These budgeting services will help increase property values as we monitor income and expenses as they occur. Strategic budgeting to plan for the short- and long-term objectives of your properties. Accurate budgeting helps efficiently run and increase the value of your buildings. Monthly statements which detail all accounts receivables and payables with a net proceeds check.We are available by phone and email to answer any questions or concerns about your statements. Accounts receivable which is tracked via our residential software and can be generated at any time to track a property’s performance. This includes all tenant rent and any miscellaneous income produced by the property. Accounts payable which are paid out of tenants rents and are detailed in the monthly financial statement to ensure complete transparency of where your money is. Rent collection on the first of the month. If not collected, a property manager will present the tenant with a late notice at their door. Legal and eviction assistance when necessary. Though it does not happen often, the prominent Boston law firm of Russo & Scholnick will carry out the eviction process and associated legal proceedings. Banking through Bank of America. Security deposits are kept with BoA’s escrow management department, where yearly interest is calculated and distributed to tenants accordingly.  Fund security with a triple-locked filing system and handled by bonded and licensed J. Butler Property Management personnel only. The prestigious accounting firm Forman, Conklin & Farrar monitor our financial accounts to maintain the degree of safety and protection you deserve.